I would not consider myself a gamer but there is one video game that holds a place in my heart - The Sims series. The Sims was one of the first games I ever bought myself when I was a young 21 and still living at home with the parents. I have owned nearly every version of it to date. I was very excited to hear that The Sims™ 4 was coming out in September. We leave in 2 weeks for the wedding and right after for a 2 week long Europe honeymoon. Not to mention, I have been beyond busy for the weeks leading up to the big day which is why I haven't been posting much. However, when I had the opportunity to check out The Sims™ 4, I jumped on it. Even cooler - Sims has a “SIMify Yourself” contest with lots of amazing prizes up for grabs and no purchase necessary. Click here to see official rules. Speaking of SIMifying, I think I did a pretty good job on mine. Just like the years prior, you start the game by creating your Sim. There are soooo many options while creating each character. The Sims™ 4 took personality traits to a whole new level. Not only do you select a main interest, you also have three side ambitions. 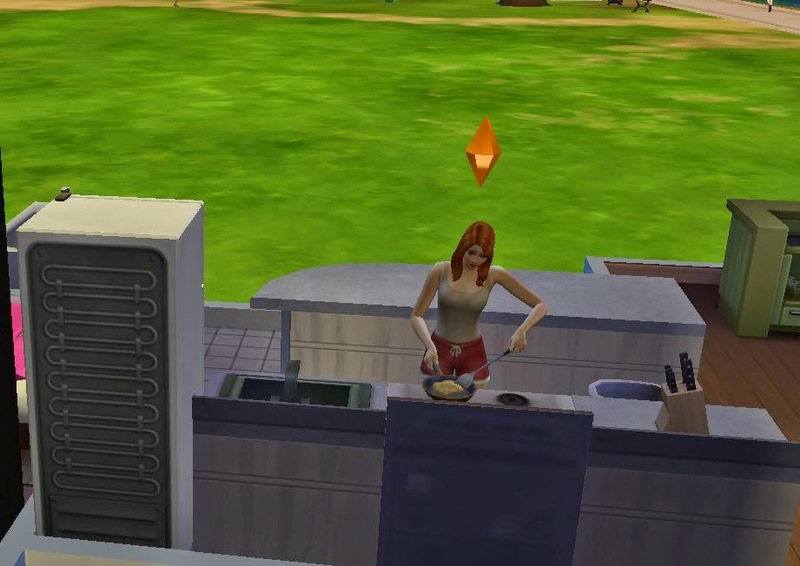 Your Sims mood will affect everything you do in the game. You also customize 5 outfits - daily, formal, sleep, workout and party. If you know me, you will not be surprised to hear my Sim is wearing a blue and white striped dress. She's a foodie with a high interest in mixology, loves going to the bar and running on the treadmill. I literally created a mini me. I also made Gabe into a character! He told me I couldn't make this post go live without creating him first. 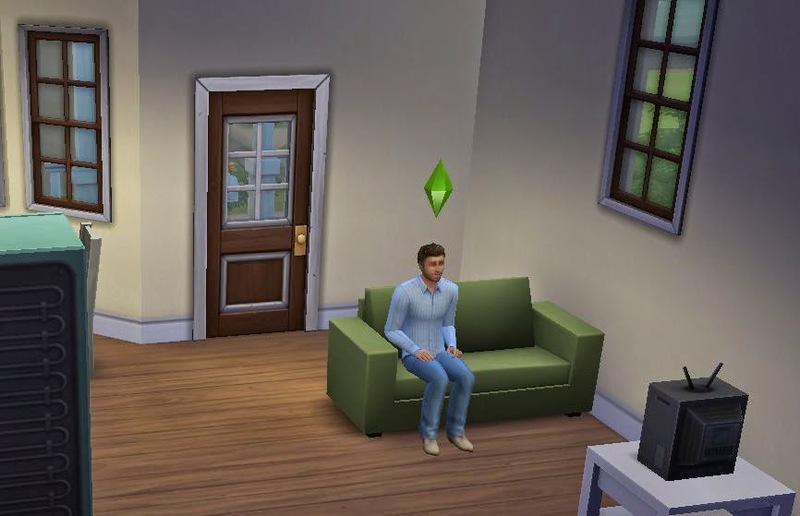 Just like real life, his Sim went straight for the television. I remember in prior versions of the game, the clothing options were very limited. Many of the outfit choices for both male and female reminded me of outfits we have in our closet. 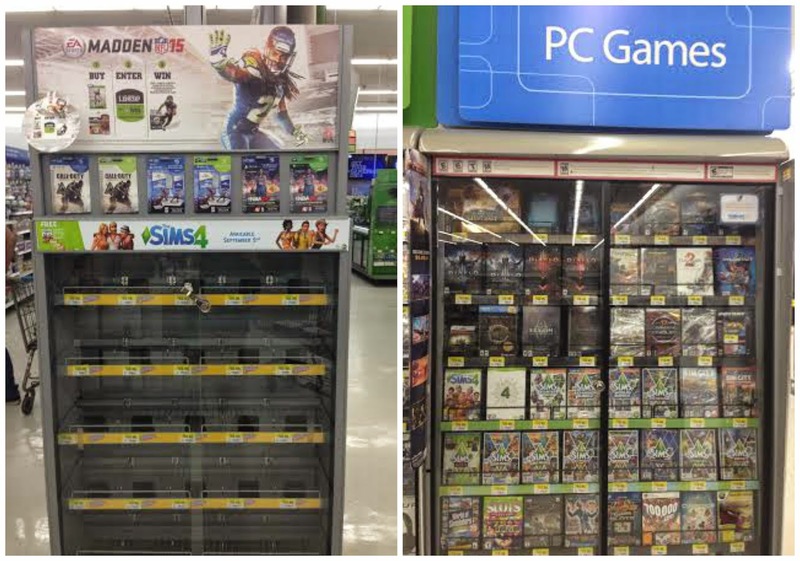 When we went to purchase the game at Tampa Walmart, we first thought they were sold out (as seen on the left photo). Luckily, we found another stash. 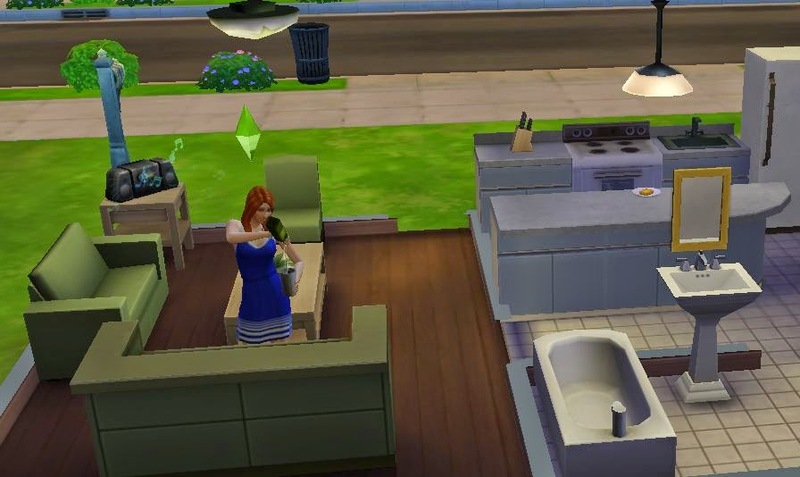 It's no surprise The Sims™ 4 was this popular on week one. You can show your Sim off and share creativity with friends. There is a new Gallery function where you can upload and download creations. I look forward to having some real downtime next month and spending some time with this game! Girl after my own heart. I used to be borderline OBSESSED with The Sims.